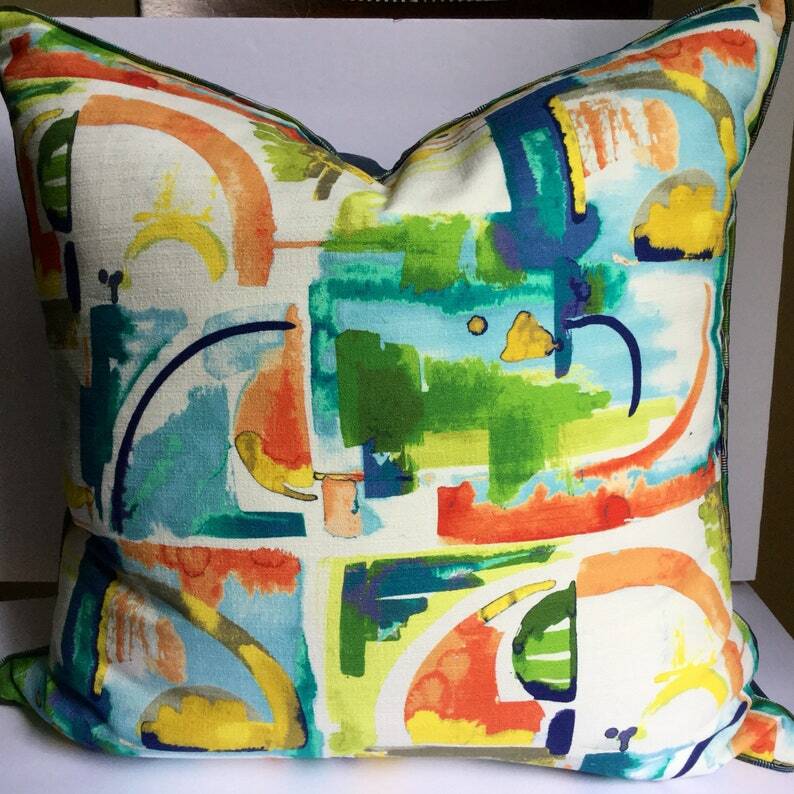 Generously sized at 25 inches square, this abstract decorator quality fabric is a beautiful bold accent for any room. Two available, would work great as Euro shams or floor pillows. Invisible zipper closure. Dry clean only. $40 each.